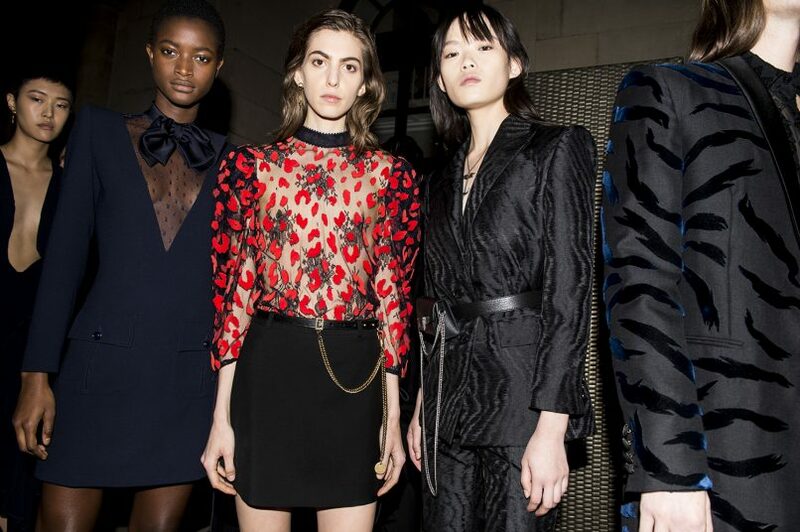 The changing of guard clearly marked a brand new era at Givenchy. The news of Riccardo Tisci’s shocking exit was soon overshadowed by an even better one — Clare Waight Keller’s arrival. To celebrate, the majestic Palais de Justice will keep its doors exclusively opened to the LVMH-owned label for the next three years. Givenchy has received so much attention this season, but deservedly so. After all, it’s been a provocateur of youth and pop culture since Hubert de Givenchy set up his eponymous shop in 1952. Waight Keller had made sure Spring/Summer 2018 was a subtle reminder of his legacy. 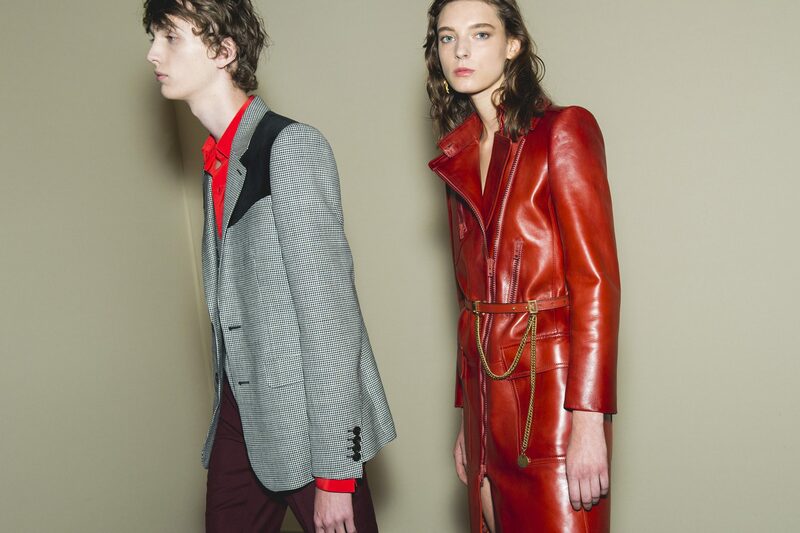 Clare Waight Keller’s debut collection sheds the streetwear-focused aesthetic for a refined Parisian-worthy one. The result is a collection littered with archival easter eggs that even the most discerning of fans would appreciate. Givenchy had always been a fan of graphic prints, and Waight Keller respectfully chose two — the four leaf clover from 1961, and animal motifs from 1981. On some pieces, the clover print appears to be scratched by cats, an allusion to the preview campaign shot by the prolific Steven Miesel. Strong shoulders were a key silhouette in the collection. Then there’s the revival of the iconic power shoulder — a silhouette which Givenchy himself coined back in the day — but made contemporary and relevant again. The show opened with a double-breasted coat dress cleverly cinched at the waist by the season’s modish fannypack, reflecting her knack for blending the past and present. The new GV3, named after the label’s original address on Paris’ Avenue Georges Cinq. Keller also brought her A-game to the accessories front with the debut of a new shape, the GV3. 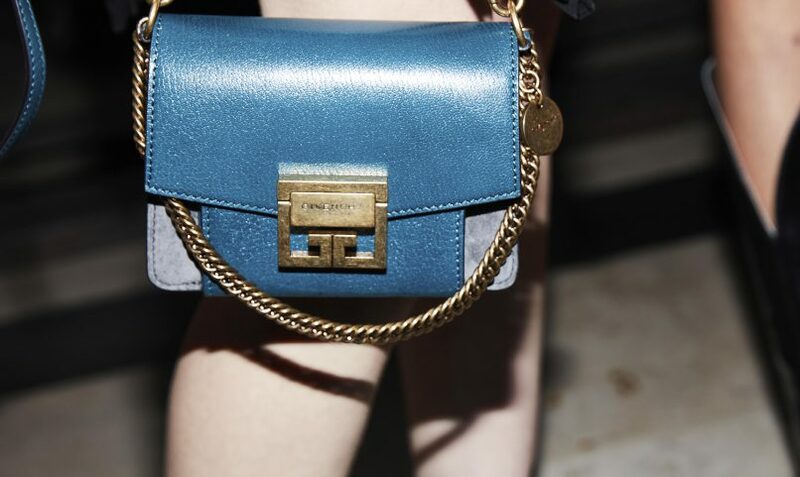 Named after the label’s original address on Paris’ Avenue Georges Cinq, the multi-strap handbag is destined to be yet another Spring/Summer 2018 sell-out under her name with its versatile boxy silhouette and rock-chic chain hanging off insouciantly from the front. Silk crepe dresses, lots of lace, and chiffon pleats brought a softer side to the collection. While she’s not the first Brit to take the helm — Alexander McQueen and John Galliano have beat her to that — she is the first female artistic director, and it shows. The otherwise monochromatic collection is punctuated by playful pops of mint and red, and there’s a softness and sense of ease amidst the cool V-point knee-high boots and layered chained necklaces. 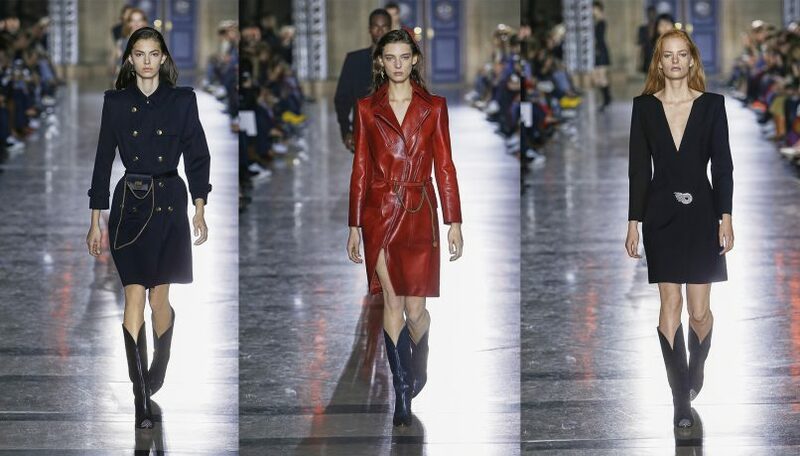 Waight Keller gives her take on the killer western boots. Loosely cut silk crepe dresses and wrap skirts move freely with each step. 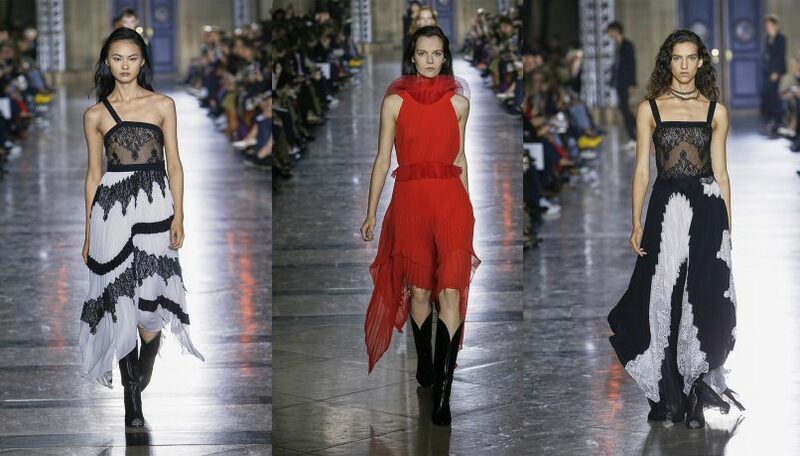 Givenchy has cast its net beyond streetwear now — it’s nailed the sharp urbanity Parisians have come to be known for, underscored with a beguiling fluidity only Waight Keller is capable of.